Carrying out gas safety checks for landlords in the surrounding area, including Maidstone, Rochester and Chatham. Are you a homeowner renting out property in Maidstone, Rochester, Chatham or the surrounding area? Need a Gas Safe registered engineer to carry out a gas safety check in the property? Get in touch with us here at LP Plumbing & Heating today on 07534 907893. If you are a homeowner renting out property then you are legally responsible for the gas safety of your tenants and as such, are legally required to have a gas safety check carried out within the premises. Gas safety checks must be conducted on an annual basis to ensure that the gas appliances inside the property are safe and your tenants are not in danger. It is also worth mentioning that these checks must only be conducted by a Gas Safe registered engineer. 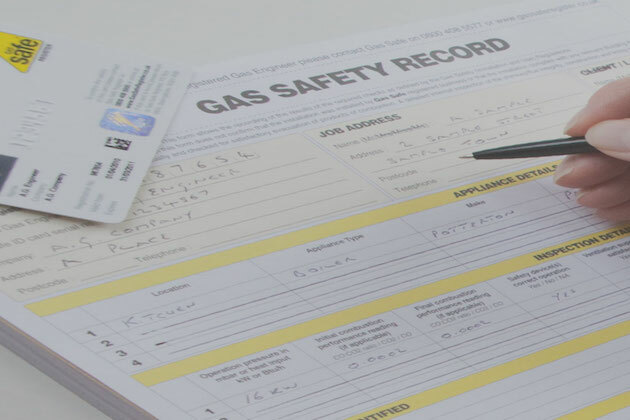 A non-Gas Safe registered engineer is unable to issue an official legal document that demonstrates your gas safety compliance, so always be sure to check the credentials of the gas engineer carrying out the checks! If you are looking for a Gas Safe engineer to carry out gas safety checks in the Maidstone, Rochester, Chatham area, call us today on 07534 907893. All gas appliances and fittings must be checked, where some examples include: Gas boilers, gas fires, gas cookers/hobs and gas stoves. Do I need a gas safety check? All landlords renting out property need to have a gas safety check carried out. This is not exclusive to living space however; pubs/restaurants, bed and breakfasts, hotels etc. are all legally required to have a gas safety check carried out by a Gas Safe engineer. Need Our Services in Maidstone, Rochester, Chatham..? If you require our assistance for a gas safety check in the Maidstone, Rochester, Chatham area, then why not give us a call today and find out how we can help? We're available via phone number on, 07534 907893 or alternatively you can reach us through our contact form on the website.